For millions of Americans, chronic low back pain is experienced on a daily basis. One of the most common reasons for this is due to what its called discogenic pain. This is due to degeneration of the intervertebral disc, which is the soft tissue area between the bony vertebrae that normally acts as an excellent shock absorber with movement. There are two components to the normal intervertebral disk. The inner jelly part is called the nucleus pulposis, and the outer firmer part is called the annulus fibrosis. The healthy intervertebral disc contains 80% water along with 20% proteins and collagens. With aging, the disc begins to lose its blood supply along with its water content. In certain individuals, this may lead to painful degeneration. The known risk factors for low back pain due to degenerative disc disease are increasing age, smoking, genetics along with occupations such as being a truck driver or construction worker. 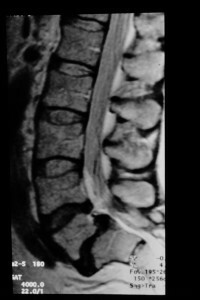 Interestingly, a person may have degenerative disc disease that is present on imaging studies and not painful at all. Then an auto accident or work injury can flare up the situation, making it very painful all of a sudden. A Phoenix injury clinic may be necessary for help. Most degenerative disc disease is actually not painful at all. However, it may be disabling to some individuals. Simply looking at the severity on imaging studies does not correlate with an individual’s pain. Usually an MRI will show the loss of fluid and height in the degenerative disc, and A discogram procedure can help diagnose the degenerative disc as the source of an individual’s pain. Treatment for symptomatic degenerative disc disease should begin with over-the-counter pain medications including NSAIDs and Tylenol. Additional treatments may include physical therapy along with electrical stimulation and ultrasound. A workers compensation doctor may be able to mitigate the pain and prevent it from staying chronic. For short-term exacerbations of pain, muscle relaxants may help along with narcotic medications. With long-term usage, the risks of these medications outweigh the benefits. This may include addiction, tolerance, constipation and depression. Chiropractic manipulations along with acupuncture and spinal decompression therapy include complementary medicine treatments that have shown to have significant benefits in multiple research studies. Interventional treatments that can be very helpful for symptomatic degenerative this disease include trigger point injections, Epidural steroid injections or potentially intradiscal injections. If the disc has degenerated with tears in the outer part leading to the chemical irritation of the adjacent nerve roots, then epidural injections can be very helpful. 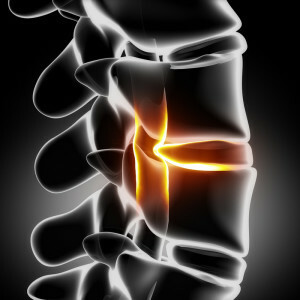 Most of the time, surgery for discogenic pain due to degenerative disc disease is not necessary. 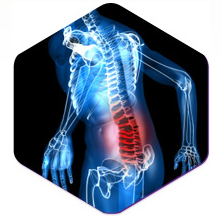 Over 80% of individuals are able to achieve a satisfactory baseline pain level and avoid lumbar surgery. However, if a patient fails over six months of consecutive conservative treatment, then surgery for degenerative disc disease may be considered.